Now that registration is officially closed, the record-breaking 124 registered competitors are now giving their full attention to the world’s largest Masters surfing event in the sport’s history. 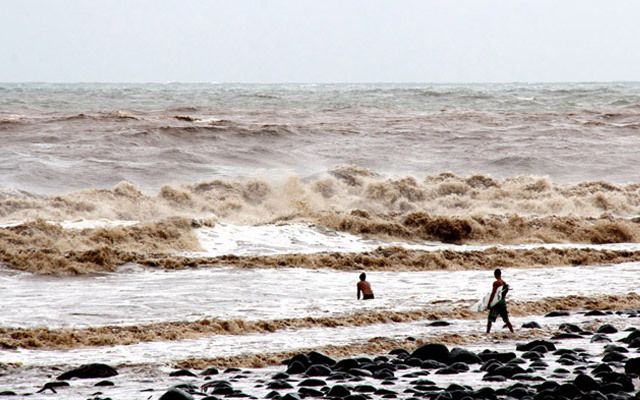 The greatest event ever to be held in El Salvador coincided with the storm of the year, with torrential rains and menacing windsforcing the start of the event to be postponed. 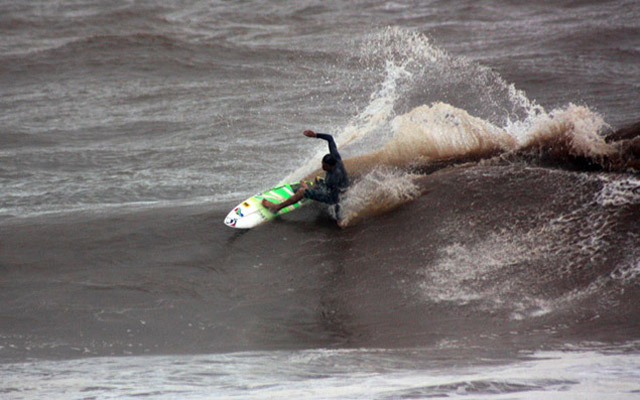 The Masters surfers from 21 countries are also dedicating their off day Monday to help the people of the town of La Libertad, as many of them have been forced to evacuate their homes. A beach clean-up at the event site, Punta Roca, is organized for Monday. The ISA and Greyline Avitours have also begun a fundraiser to help the locals displaced by the storm. Still, in the midst of an emergency situation, the Masters National Teams have kept their spirits up while practicing on Punta Roca’s long, stormy rights. “I’ve heard a lot of good things about El Salvador, I have some friends that come down here a lot and they always told me how great it is. The waves are kind of similar to what we have in California but the water is warm and the people are really nice and the country is beautiful. The wave looks a lot like Rincon, that’s where I live, but I just got here so I only saw it when it was stormy, I’m sure it gets a lot better,” ended Curren, who had a free surf session yesterday where he was pointed out as the standout of the day. Competitors from Argentina, Australia, Brazil, Costa Rica, Ecuador, El Salvador, France, Germany, Hawaii, Mexico, New Zealand, Panama, Peru, Puerto Rico, South Africa, Sweden, Switzerland, Trinidad and Tobago, Uruguay, USA and Venezuela are getting ready for when the event start. ATTENTION: Due to the emergency situation the country is in, the start of the event as well as the opening ceremony has been postponed. The event is now scheduled to start Tuesday, 8am local time.